Just few days ago the HTC Desire Eye started getting Android Lollipop treatment in its homeland - Taiwan. 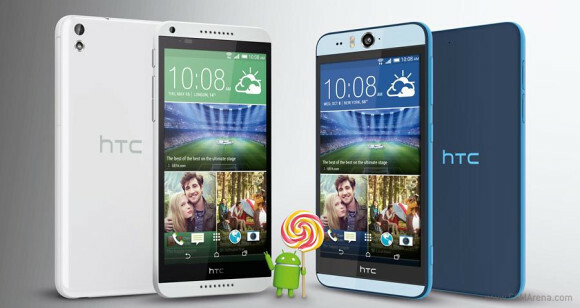 Today HTC UK announced the official rollout of Android 5 Lollipop firmware update for two Desire smartphones - Desire Eye and Desire 816. The update includes all new Lollipop features and performance improvements, but lacks the latest Sense 7 UI. It bumps the Sense version to Sense 6.5, but the 7.0 launcher will roll out on a later date, probably with Android 5.1. HTC has been steadily bringing Lollipop to its popular smartphones. You can already find it on HTC One and HTC One M8, it even kicked off on HTC Desire E8 and Butterfly S a few days ago. According to the previously leaked scheduled we should see HTC One Max, One mini 2 and One mini, among others, updated throughout the next couple of months. Why aren't company provide new version?